​Living alone with his silent father and the shadow cast by his long-dead mother, Dustin waits. All he wants is to slip under the radar and survive what's left of high school; get through his work at the photo lab; get by. Beyond that, the rest of his life beckons. Then on Sunday, a single photo gets stuck in the processor and it changes everything. The bike in the picture is decent, for once: a Ducati Monster 620, cherry red. The woman beside it is striking too. What begins as a curiosity for Terri Pavish - her photography, freedom, and speed - becomes something else. Dustin is caught in her slipstream, and as innocent infatuation grows into obsession, the past comes full-circle to haunt him. The theme of photography opens up a rich world of metaphor for the transience of memories and love relationships, with pleasing narrative momentum. Betts offers young adult fiction at its best, successfully engaging a poetic literary aesthetic. This is a skillfully composed story with poetic imagery and well realised characters. The theme of photography permeates throughout and the author captures the sights and sounds of Fremantle like snapshots. The powerful ending left my stomach aching. The themes of loneliness, friendship, grief and loss are universal and are treated in quite an original way...The ending is a cracker - unexpected and chilling! 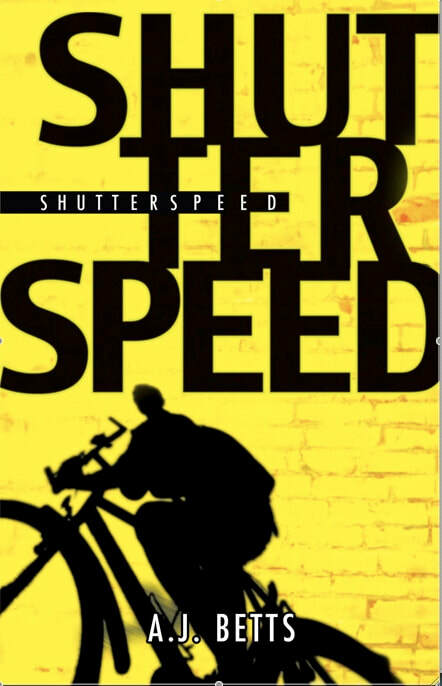 Shutterspeed is a fast moving first novel, with the use of camera and photo imagery, flashbacks and foreshadowing taking readers on a ride almost as wild as the Ducati motorbike which features in the story. Prepare to be surprised. It is recommended as a great teen book to use in high school English classes, as it has a stimulating and exciting plot, an appealing storyline structure, and engaging characters.